From South Sudan to Syria, there are always alternatives to military force. Unarmed civilian peacekeeping may be one of them. LF: Nonviolent Peaceforce is an international humanitarian organization that was started in 2002 with the idea that there was an alternative to either doing nothing or going to war. We started in Sri Lanka with the idea that international presence would be a way to deter violence and to protect civilians who were under threat. In Sri Lanka there was a 26-year civil war, but both sides cared very much about international opinion. So if there was a civilian or community under threat, and if you put internationals next to that person or those people, they would generally be safe because neither side wanted to be seen as attacking them. Where are the internationals from? LF: We try to have as diverse a collection of peacekeepers as possible. They are literally from all over the world — from six continents. I work with people from Africa, Asia, South America and Europe, as well as with people from North America. Without the protection of weapons, how do you stay safe? LF: We won’t go into any country to start a new project unless we have an invitation from a civil society organization. 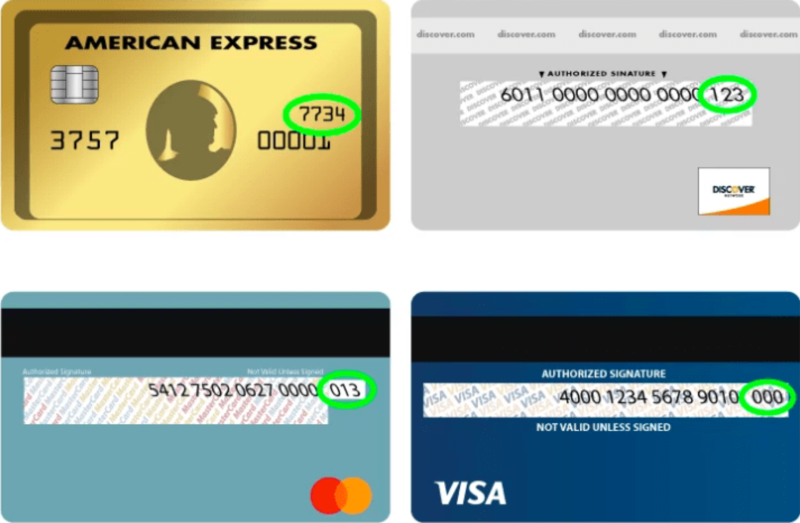 So that provides the basis for entering the country. As far as opening different field sites in different communities, we do an assessment beforehand. We meet all of the parties involved. We explain who we are, we ask them if they think that we would be useful or valuable or if they even want us there. And it’s only if they do, and if we think we can help, that we go in. 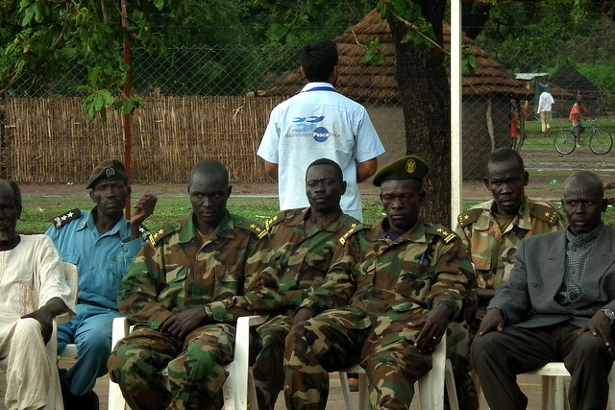 Why is the Nonviolent Peaceforce in South Sudan and Abyei? LF: South Sudan is the world’s newest country. It became independent in January 2011 after over 50 years of civil war. The vast majority of the population assessed this as a huge victory — something that they had wanted for a long time. But after independence was gained, internal divisions became apparent. South Sudan has 64 tribes, and they all have unique cultures and unique languages. Although there were divisions and conflicts among them before, the tribes generally put those aside and united against the common enemy of Sudan. But once that common enemy disappeared, they started to focus on the differences between themselves, and inter-tribal violence broke out. It’s hard to describe one particular conflict, because the sad fact is that most of those tribes are now involved in some conflict in one form or another. Because the government is so new and the country is large, there are places so inaccessible that rule of law really isn’t available, which allows armed conflicts to continue. Can you describe the involvement of women in communities where you worked? LF: They’re not involved in terms of being the actual fighters or combatants. I’ve never heard of a woman having a weapon and attacking someone. They are involved mainly as victims, especially in areas where the conflict has gotten particularly acute. Sometimes women and children are targeted as a tactic of war. But they’re never the ones that do the fighting. How does unarmed civilian peacekeeping restore relationships among actors in a local conflict? How do you approach the conflict differently than other forms of international intervention do? What about the conflict in Syria, for example? TE: It is really important to illustrate the complexity of conflict in general and particularly a conflict like the one in and around Syria. Those on the outside tend to see the issue as one thing — the government against the rebels. What is important to highlight that in every conflict there are multiple layers. A war creates conditions whereby opportunistic violence arises; long-standing grudges are meted out during the confusion and cover of war, and displacement creates massive vulnerabilities for civilians. There are also peace and ceasefire agreements in communities throughout the conflict that are never really noticed by the general public, and these are often the most effective ways of bringing about increased security for civilians who are waiting for a political solution. Based on previous experience, this is an area where Nonviolent Peaceforce could be quite effective. Do you think that unarmed civilian peacekeeping is limited in any ways? LF: Absolutely there are limits. There are places that unarmed civilian peacekeeping is effective and there are places that it probably wouldn’t be safe or effective. Nonviolent Peaceforce has 24 criteria that we analyze before going into a country to help us decide whether or not it is appropriate and safe, and whether or not we will be able to protect people. In May we began a scoping process in Syria. We will follow that up with additional visits in October and November, when we will meet with potential partners and discuss and analyze possibilities. What kinds of activities would you carry out in Syria if you decide to take on this mission? LF: Activities could include accompanying people under threat because of their peace and human rights work or providing a protective presence in zones of peace, schools or hospitals. We might be able to work with communities in setting up early warning and early response mechanisms. Also, we have had numerous requests for training of trainers in unarmed civilian peacekeeping. The project certainly seems daunting. How do you overcome that feeling? 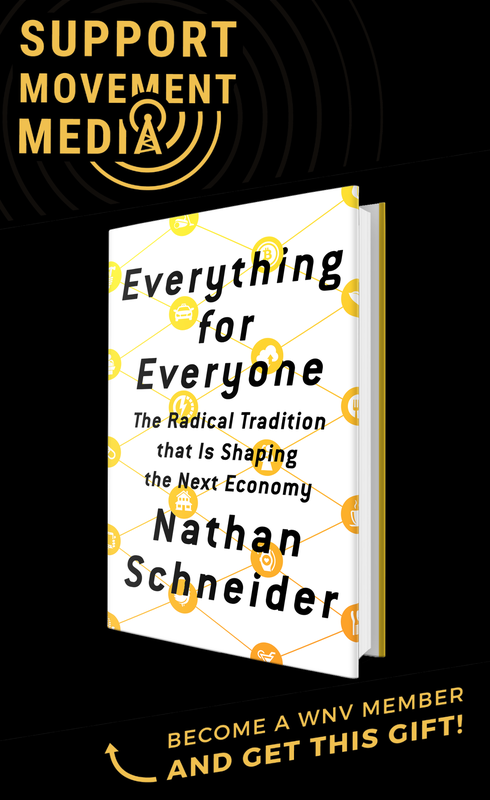 TE: Conflict is complicated, and the international community often becomes so hypnotized by this complexity that inaction becomes more common than action. But the reality is that there are always entry points for violence reduction if you are willing to look for them and do the analysis to see them. We must break through the false dichotomy that the options are either to do nothing or to send in the bombers and cruise missiles. There are always alternatives. Unarmed civilian peacekeeping may be one of them. Great article Stephanie. This helps all of us to better understand how unarmed civilian peacekeeping can be a more effective alternative to armed intervention which often exasperates the conflict rather than helping resolve it. 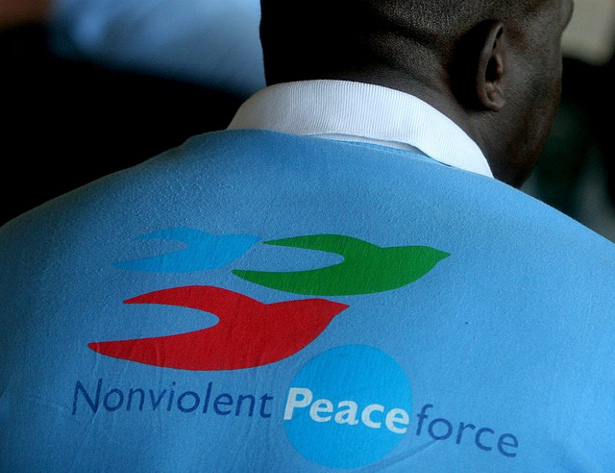 Congratulations to Nonviolent Peaceforce for their great work!!!!! Thank you, David, for being a co-founder of this visionary and cutting edge organization. Well done, Stephanie, Lisa and Tiffany! I am particularly struck by the role woman are playing as peacemakers and how security meetings resulted in strategies that reduced violence against women. The world is full of such heroines! NP is a great facilitator of their work. Thank you, I thought your interview article was very good. I look forward to reading more about the organizations work toward peace. I was particularly interested in Lisa’s comment about the involvement of women. It was very similar to recent comments during the US government shut down–women members of congress were looking for a middle ground to resolve the situation. Thank you Stephanie for your clear and and concise interview! I hope that you will have an opportunity to follow and report on the work of the Nonviolent Peaceforce in Syria. That was informative and thought provoking, Stephanie! I’m curious about what the 24 criteria are for going into a country? Thank you for the very informative interview. Thanks Stephanie. 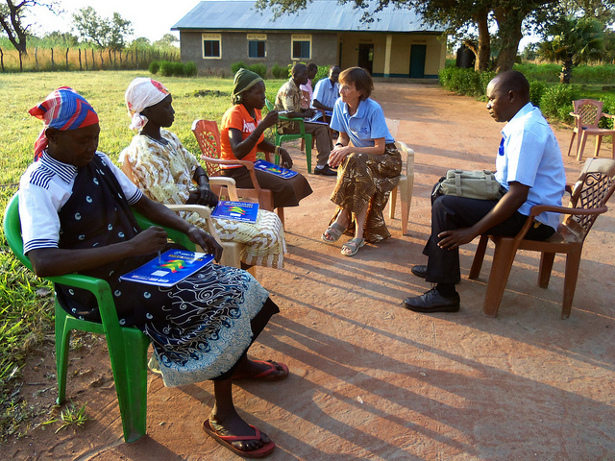 We also use international nonviolent accompaniment in Northern Uganda to prevent mass land theft in rural areas where corporations and government are interested in obtaining oil deposits and putting sugarcane plantations. I am grateful to hear more about what you do.